*If you are using white whole wheat flour, just use 2 1/2 cups of that! Step 1: Preheat your oven to 375 degrees F and line a 9 X 13 pan with foil (leaving extra foil on both sides to be able to pick up the bars once they have been baked) and spray with cooking spray. Step 2: Mix the flour, sugar, and salt in a large bowl until well blended. Add the butter in chunks to the bowl and mix until all the dry ingredients are incorporated. Step 3: Transfer a little less than half of the dough to another bowl and set aside. Spread the remaining dough evenly on the bottom of your baking pan. Bake in the oven for 15 minutes, or until the crust has turned golden brown and is firm. Step 6: Once the bottom crust is finished baking spread the jam and fruit mixture in a thin layer over it. Then, take the remaining dough and pinch off chunks and “drop” over the filling. Don’t press the dough down but try to sprinkle the topping evenly. Step 7: Pop your dish back into the oven and bake for 20-25 minutes! 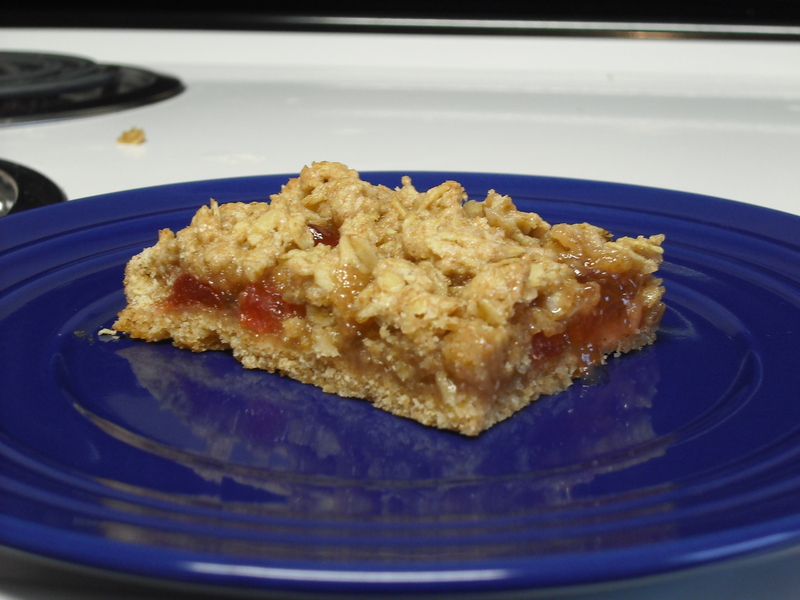 The cobbler bars are done when the filling is bubbling and the top crust is golden brown. Once your bars are finished baking, keep them in the pan. Let them cool completely in the pan and then lift the cobbler bars out using the foil! (The cooling process could take an hour) Cut your Strawberry Cobbler Bars into the desired size, and ENJOY! 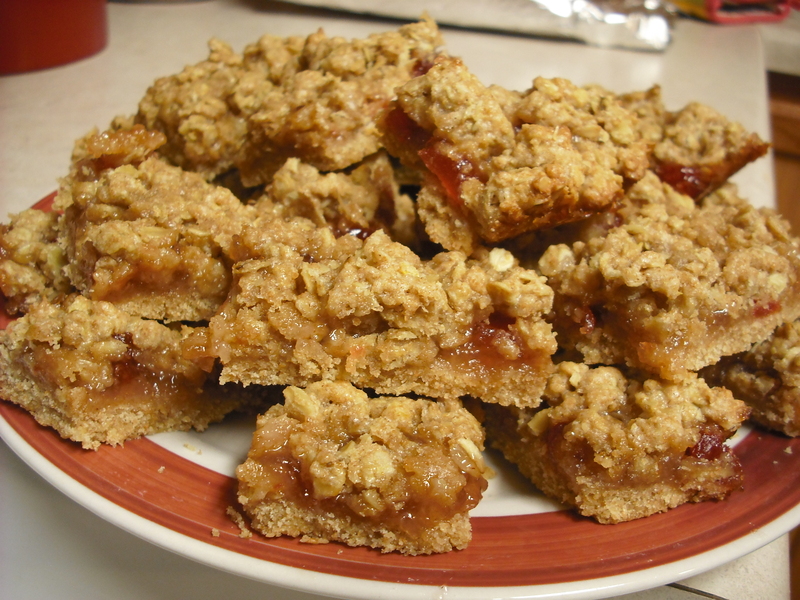 All I can say now is: Family, I’m really sorry if these Strawberry Cobbler Bars disappear before you get to try them! Yum! I think it’s great that you made these with strawberry–blueberry cobbler has been done to death so it’s nice to see something new :). I also read your ‘about me’ page and would like to confess that I am also a little bit addicted to Pinterest haha.